Monsanto is considered the mother of agricultural biotechnology. It produces genetically altered seeds to tolerate it's flagship product, Roundup. The Monsanto company was created in 1901 by John Francis Queeny and named after his wife, Olga Mendez Monsanto. Since that time, the name Monsanto has become symbolic of the greed, arrogance, scandal and hardball business practices of many multinational corporations. Less well known is that Monsanto was heavily involved in the creation of the first nuclear bomb for the Manhattan Project during WWII via its facilities in Dayton, Ohio. Monsanto also operated a nuclear facility for the federal government in Miamisburg, Ohio, called the Mound Project, until the 1980s. IG Farben was not dissolved until 2003. See also pharmaceutical industry. Monsanto was the creator of several attractions in Disney's Tommorrowland. Often they revolved around the the virtues of chemicals and plastics. However another of their synthetic inventions, Astroturf (fake grass), survives. On March 11 2008, 'The World According to Monsanto', by journalist and film maker Marie-Monique Robin, was was aired on French television. The documentary you won't be seeing on American television, revealed that the biotech giant is threatening to destroy the agricultural biodiversity which has served mankind for thousands of years. They account for almost 100% of the genetically engineered seed and 60% of the global pesticide market. Thanks to recent acquisitions, they now own 23% of the commercial seed market. In 1999, almost 80% of total global transgenic acreage was planted in GMO (genetically modified organism) soy, corn, cotton and canola. Until then, farmers could spray herbicides before planting, but not after, as herbicides would kill the intended crop. Monsanto is considered the Mother of agricultural biotech (1). Their "Roundup Ready" crops have been genetically engineered to allow direct application of the Monsanto herbicide glyphosate allowing farmers to drench both their crops and crop land with the herbicide so as to be able to kill nearby weeds without killing the crops. Monsanto came under heavy public fire with the development of their "Terminator Technology", a.k.a. "suicide seeds", known technically as V-GURTs (varietal Genetic Use Restriction Technologies) in which the seeds resulting from the first year's planting would be sterile thereby forcing farmers around the world in the Roundup Ready System to buy their seed from them every year rather than saving their best seed for the next years planting, a traditional and economical practice . Seed saving has had the benefit of allowing farmers to continually improve the quality of their crops through careful artificial selection. Fears were also expressed that Monsanto's terminator genes could spread to wild plants. "Cross-fertilizing V-GURT containing crops may cause considerable effects in neighboring crop stands and wild relatives... The fact that in North America, where large stands of GMO varieties are now grown contamination of non-GMO varieties by GMO germplasm has been observed... suggests that this scenario is a realistic probability" . 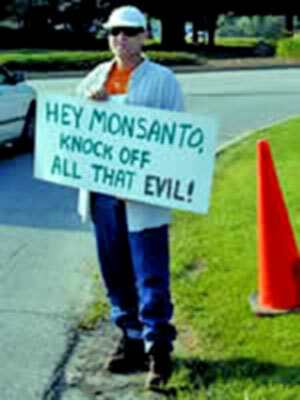 Monsanto partially funds the anti-organic Center for Global Food Issues, a project of the right-wing Hudson Institute. It is run by Dennis Avery  and his son Alex Avery. Here find the latest on Hudson's anti-environmental and pro-biotech spinmeister Michael Fumento, and his secretly taking money (at least $60,000) from Monsanto. See also . "'According to recent data compiled by the U.S. Centers for Disease Control (CDC), people who eat organic and natural foods are eight times as likely as the rest of the population to be attacked by a deadly new strain of E. coli bacteria (0157:H7)'. Following in his father's steps Alex distorted a study from the Journal of Food Protection that showed that organic food does not contain more pathogens than conventionally grown, contrary to Avery's claims. Organic farms are increasingly finding that via cross-pollination their pure food has been contaminated with GM DNA thus ruining their businesses  . "In 2002, Ontario farmer Alex Nurnberg had tests conducted on his 100-ton harvest of organic corn. Twenty tons were found to be contaminated by GMOs, which Nurnberg believes were blown by the wind from the corn on a neighboring farm. 'I was not ready for it. I feel such a wrath about it,' says Nurnberg" . Rhetoric from the United States government since the early 1990s proclaims that genetically modified (GM) foods are no different from their natural counterparts that have existed for centuries. But this is a political, not a scientific assertion. Numerous scientists at the Food and Drug Administration (FDA) consistently described these newly introduced gene-spliced foods as cause for concern. But the Food and Drug Administration (FDA) was under orders from the first Bush White House to promote the biotechnology industry, and the political appointee in charge of agency policy was the former attorney for biotech giant Monsanto - and later became their vice president. The FDA policy ignored the scientists’ warnings and allowed GM food crops onto the market without any required safety studies. 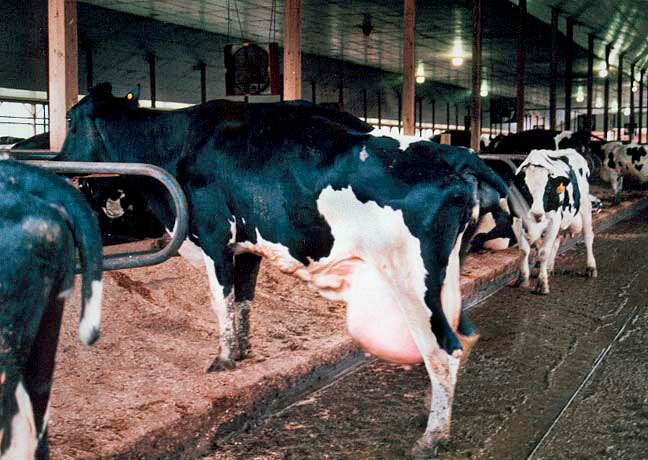 The FDA approved the use of recombinant bovine growth hormone (rbGH) being injected into cows on February 4th, 1994. Monsanto spent approximately half a billion dollars on a hormone to increase milk production (for an already glutted, taxpayer-subsidized market). The need for such for an increase in milk production has been questioned since the dairy industry has been overproducing for 60 years. Between 1986 and 1987, under the Dairy Termination Program, dairy farmers were paid over 1.3 billion dollars to slaughter their cows. 144 dairy producers received over one million apiece to refrain from dairy farming for five years and one California producer received 20 million dollars. An issue of growing concern is the Campaign to Label Genetically Engineered Foods . Many have questioned why it is that while consumers in Europe have the right to know through labeling which foods contain GM ingredients and thus to make an informed choice consumers in the United States, purportedly the bastion of freedom, democracy and the "free market" in the world are denied this same right. Polls indicate that the great majority of Americans who are aware of the issue want labels . Attempts to accomplish some kind of labeling have repeatedly been rebuffed due to tremendous opposition from biotech, which fear loss of sales if people know . In 2002 Oregon tried and failed to pass just such a labeling initiative (Measure 27). The campaign cited big money and misinformation propagated by biotech as contributing to the defeat . Food crops are not the only area Monsanto and others have hoped to cash in on with their technology, also with frightening consequences, a range of genetically engineered "designer" trees and forests are also high on their list. From trees modified to withstand Monsanto's Roundup to trees designed with a reduced lignin content (lignin gives trees strength and rigidity) to appeal to the paper making and construction industry to "terminator trees" which don't produce seeds. This has met with fierce resistance from activists and scientists alike, but again, to no avail    . Already there has been a contamination issue with the GE papaya tree, the world's first commercially planted genetically engineered tree, which enraged local farmers in Hawaii . Monsanto made news in 2004 when it decided to withdraw its GM wheat from the market due to worldwide opposition. Environmental risks of GM wheat. Update: Monsanto has apparently changed its mind and again is attempting to commence cultivation of GM wheat. "'We’re encouraged,' says Monsanto’s Trish Jordan. 'There may be some opportunity for us to re-enter the wheat space'" . This has created a furor with wheat growers. Farmers in India are finding that the "biotechnology revolution" is having a devastating effect on their crop lands and personal debt levels. "In 1998, the World Bank's structural adjustment policies forced India to open up its seed sector to global corporations like Cargill, Monsanto, and Syngenta. The global corporations changed the input economy overnight. Farm saved seeds were replaced by corporate seeds which needed fertilizers and pesticides and could not be saved" Says Vandana Shiva, leader of the movement to oust Monsanto from India. Dr Ignacio Chapela, Associate Professor at UC Berkeley and graduate student David Quist were the target of attack by Monsanto after publishing a paper in the science journal Nature telling of contamination of indigenous Mexican maize (corn) with GMOs. The lead-up to the incident, however, is downright spooky (1). The following is excerpted from The Legacy of Agent Orange. "Agent Orange was manufactured by Monsanto, Dow Chemicals (manufacturers of napalm), Uniroyal, Hercules, Diamond Shamrock, Thompson Chemical and TH Agriculture. 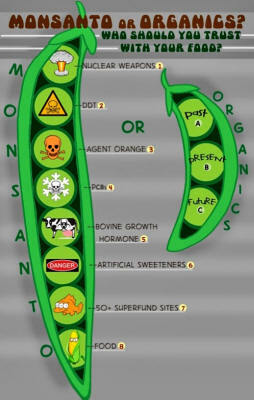 Monsanto [was] the main supplier. Monsanto's involvement with the production of dioxin contaminated 2,4,5-T dates back to the late 1940s. 'Almost immediately workers started getting sick with skin rashes, inexplicable pains in the limbs, joints and other parts of the body, weakness, irritability, nervousness and loss of libido,' to quote Peter Sills, author of a forthcoming book on dioxins. The most gruesome legacy caused by spraying Vietnam with dioxin contaminated Agent Orange was that born by the Vietnamese themselves. In a locked room of Tu Du Obstetrical and Gynecological Hospital in Saigon are rows of formaldehyde-filled jars containing deformed fetuses, a grotesque illustration of Man's inhumanity to Man. The level of poverty in Vietnam prevents the preservation of further examples. Many of the living have fared little better, limb deformities, cancers." "C.H. Boehringer Sohn discovered a way to minimize the dioxin content in a substance by keeping down the temperature in the autoclave [during manufacture]... Dow, Monsanto, and Diamond Shamrock were able to make a batch of Agent Orange in about forty-five minutes, but if they'd lowered the temperatures, it would have taken a lot longer - possibly twelve hours - to make the same batch of herbicide. By keeping the autoclave temperatures higher, they made it more quickly and for a lot cheaper. Dow and other manufacturers of Agent Orange ignored the safety precautions because they wanted to make Agent Orange more quickly, and they wanted to make more of it." "ordered the use of Agent Orange along the banks of rivers and canals" in Vietnam, and whose "son, Lieutenant Elmo Zumwalt III, served on one of the boats that plied these waterways," "fathered a son with learning disabilities and, after a long, hard struggle... died of cancer,"  issued an extensive classified report to the Secretary of the Department of Veterans Affairs "on the Association between Adverse Health Effects and Exposure to Agent Orange" in 1990. "with a very high degree of confidence, that it is at least as likely as not that the following are caused in humans by exposure to TCDD [dioxin]: non-Hodgkin’ s lymphoma, chloracne and other skin disorders, lip cancer, bone cancer, soft tissue sarcoma, birth defects, skin cancer, lung cancer, porphyria cutanea tarda and other liver disorders, Hodgkin’s disease, hematopoietic diseases, multiple myeloma, neurological defects and auto - immune diseases and disorders. In addition, I am most comfortable in concluding that it is at least as likely as not that liver cancer, nasal/pharyngeal/esophageal cancers, leukemia, malignant melanoma, kidney cancer, testicular cancer, pancreatic cancer, stomach cancer, prostate cancer, colon cancer, brain cancer, psychosocial effects, and gastrointestinal disease are service - connected." "recent litigation against the Monsanto corporation revealed conclusive evidence that studies conducted by Monsanto employees to examine the health effects of exposure to dioxin were fraudulent. These same fraudulent studies have been repeatedly cited by government officials to deny the existence of a relationship between health problems and exposure to Agent Orange". "lawyers who represent[ed] Vietnam veterans and their families agree[d] to a $180 million out-of-court settlement with the chemical companies that manufactured and sold Agent Orange to the military during the war... With this out-of-court settlement, Dow, Monsanto, et al. [won] a monumental battle." Agent Orange produced by Monsanto and others was also applied in Korea. "in January 2006, a Seoul court ordered Dow Chemical and Monsanto to pay $62 million to 6,800 Korean veterans and their families." "New Zealand's Vietnam veterans were planning to file a lawsuit against the US chemical companies claiming $3 billion in compensation." Monsanto has sued many a farmer when their GM crops have turned up on the farmer's fields even though the farmers say they never planted them (examples)  . For an alarming expose of Monsanto's legal battles with American farmers see the report Monsanto vs. U.S. Farmers. In the Washington Post article (Jan 1, 2001) "Monsanto Hid Decades of Pollution PCBs Drenched Ala. Town, But No One Was Ever Told" a grim story of Monsanto's treacherous behavior in Anniston Alabama was revealed. "They also know that for nearly 40 years, while producing the now-banned industrial coolants known as PCBs at a local factory, Monsanto Co. routinely discharged toxic waste into a west Anniston creek and dumped millions of pounds of PCBs into oozing open-pit landfills. Monsanto, ever on the lookout for a new financial opportunity, especially one which, on the surface at least, appears to be benevolent found one in biofuels. The growing of corn, in Monsanto's case, genetically engineered corn, for the production of ethanol purportedly to reduce the use of fossil fuels . Unfortunately though, as is often the case with Monsanto, this silver lining has a rather large and ominous cloud, and in the massive diversion of land once used to grow food to growing crops for the fueling of automobiles yet another crisis has ensued. In early 2010, Monsanto, along with other biotech companies and philanthropists, became involved in an ongoing project designed to develop new African drought-tolerant maize varieties. While the new seeds promise increased yields during drought years, the project (specifically Monsanto's involvement) is not without controversy. In early 2009, corporations like Monsanto, Archer Daniels Midland (ADM), Sodexo and Tyson Foods wrote and sponsored "food safety" bills which, according to critics; hand control and policing of food to factory farms and corporations. They point out that bills impose industrial, anti-farming "standards" to independent farms. Also, that they subject those who do not use chemicals and fertilizers to severe penalties, which apply even to producers growing food for their own consumption. The Food Safety and Modernization Act of 2009: HR 875  was introduced by Rosa DeLauro, whose husband (Stanley Greenburg) works for Monsanto. HLS is the 3rd largest contract research organization (CRO) in the world and the largest animal testing facility in all of Europe. Firms hire HLS to conduct animal toxicity tests for agrochemicals, petrochemicals, household products, pharmaceutical drugs and toxins. HLS has a long history of gross animal welfare violations. In the fall of 1996, award-winning investigative journalists Steve Wilson and Jane Akre were hired by WTVT in Tampa, Florida to produce a series on rBGH. After over a year's work and three days before the series was scheduled to air, Fox News executives received the first of two letters from Monsanto's lawyers. WTVT had been advertising the series aggressively, but canceled it at the last moment. According to Florida Court records, Fox's lawyers then attempted to water down the series, twice offering to pay the journalists to leave the station and keep quiet about what had been done to their work. The reporters refused and filed a lawsuit against WTVT on April 2, 1998. The lawsuit charged that WTVT violated its license from the Federal Communications Commission (FCC), by demanding that the journalists include known falsehoods in the rBGH series. They also charged that WTVT violated Florida's whistle blower law. On three separate occasions, Fox attempted to have the case summarily dismissed. "acted intentionally and deliberately to falsify or distort the plaintiffs' news reporting on BGH." They also found that Jane's threat to blow the whistle on Fox to the FCC, was the sole reason for their termination. She was awarded $425,000 in damages. 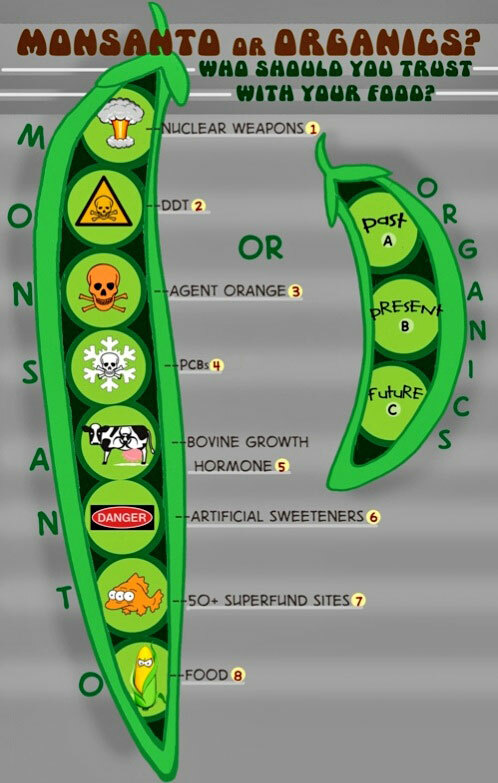 GMO seeds have been genetically modified to produce their own pesticide, survive the spraying of Roundup and self terminate. They are also incredibly expensive compared to traditional seeds. As a result, farmers in India were forced into total dependence on Monsanto by having to purchase new seeds annually. Because of Monsanto's ruthless drive to use India as a testing ground, 125,000 farmers took their own lives after being driven into a hopeless cycle of debt and losing their lands and homes. GMOs, which were never adequately tested for safety, have failed catastrophically. At least 70% of our food contains genetically engineered food brought by Monsanto. GMO is endangering our health and environment at an alarming rate. Cross contamination is irreversible and good organic crops are being jeopardized. Monsanto spent $6,560,000 for lobbying in 2010. $1,030,000 was to outside lobbying firms with the remainder being spent using in-house lobbyists. Monsanto has donated to the front group Center for Consumer Freedom (CCF). CCF runs attack campaigns against health, food safety, animal rights and animal welfare advocates. Monsanto 800 N. Lindbergh Blvd.